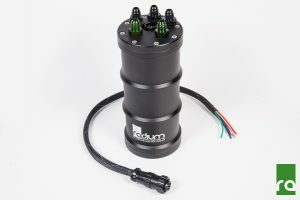 Radium Engineering’s Fuel Surge Tank (FST) is designed to prevent fuel starvation to the engine on vehicles with inadequate fuel tank baffling, as is so often the case with BMWs used on track. 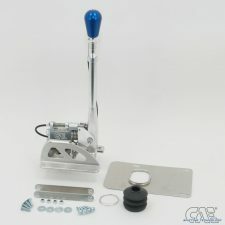 The FST fuel pump(s) feed directly to the fuel rail(s). The volume of fuel inside the surge tank acts as a buffer to always keep the FST pump supplied with fuel. This volume is maintained by the main fuel tank’s pump as well as the fuel returning from the pressure regulator. Excess fuel in the surge tank is returned to the vehicle’s main fuel tank. 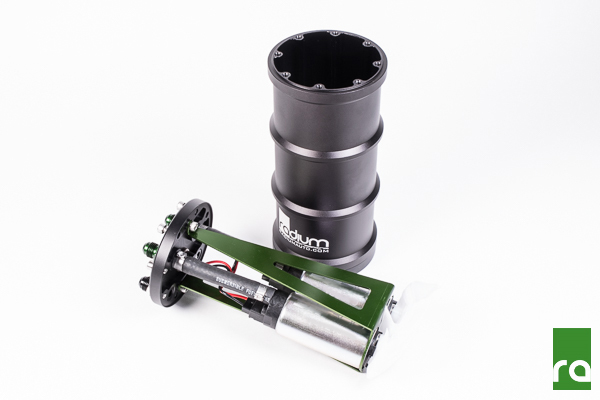 The surge tank also provides a quick and easy way to upgrade any standard fuelling system without the need to modify the stock fuel tank or pump. 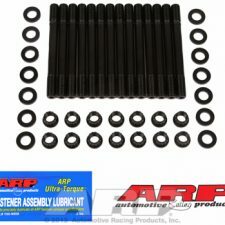 This is an excellent fuelling solution for vehicles installing large power-demanding upgrades such as forced induction. 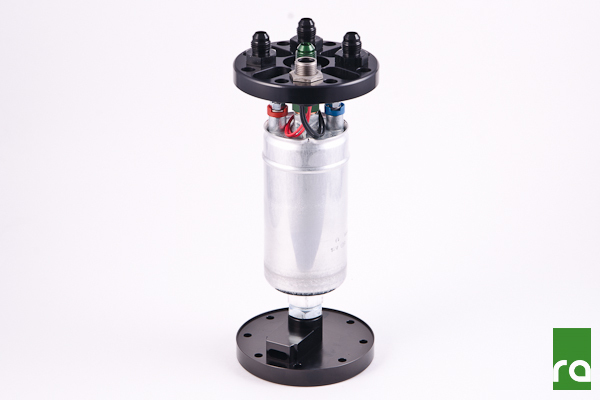 All pumps mount internally using petrol/ethanol/methanol resistant wiring. 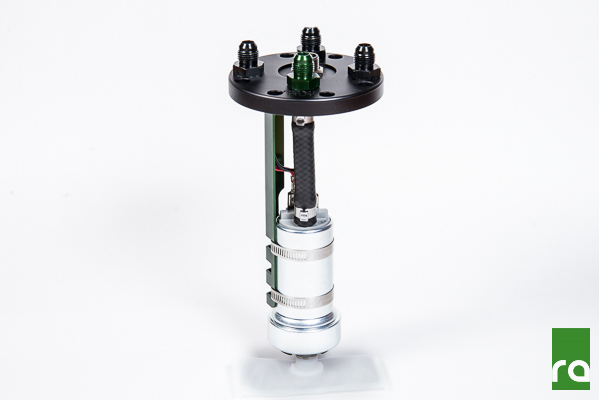 Fuel dual-pump configurations, each pump is wired independently. All hoses are submersible and E85 safe. The pump outlet fitting(s) are available in -6AN male only. Other ports can be adapted (adapters available separately). 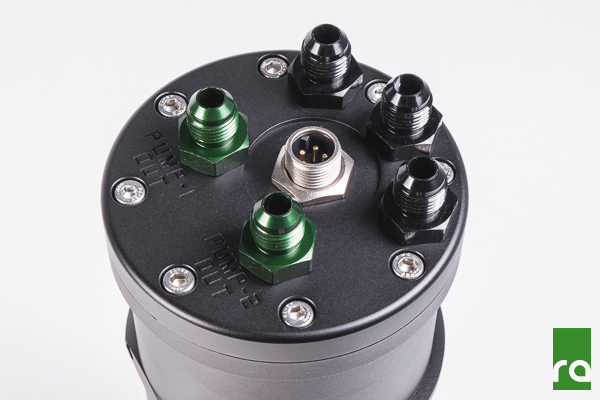 The FST can be configured for various fuel pump setups and is available to buy with or without pumps. Please choose your setup from the options, with details available below. E85 options available by request. This FST can be configured for single or dual pumps. For single pump FSTs, the fuel entering must be filtered. Dual pump version shown. This surge tank comes in a single pump version only. 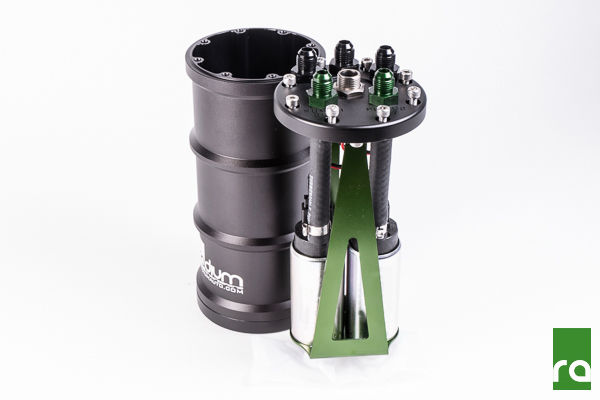 This surge tank can be configured for single or dual pumps. For single pump FSTs, the fuel entering must be filtered. Dual pump version shown. This surge tank comes in a single pump version only. Pump not available as part of kit, must be purchased separately. The FST can be mounted anywhere in the vehicle. However, mounting near collision-prone areas, heat sources or moving parts should be avoided. Note: all of the single pump FSTs can be mounted anywhere from vertical to horizontal. However, the dual pump FSTs cannot be mounted completely horizontal because the pickups are on opposing sides of one another internally. 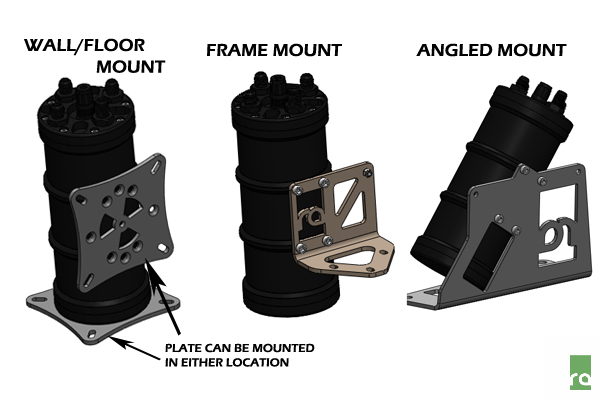 Floor and Wall Mount – this bracket is laser-cut from aluminium and powdercoated black. 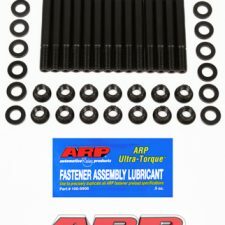 It can be mounted on the side or bottom of the FST. Frame Mount – because this bracket has a 90deg formed bend and is cantilevered, it is constructed from steel for superior strength. It is not only nickel plated to resist corrosion, it also allows for components to be grounded to the spare hole in the bracket. 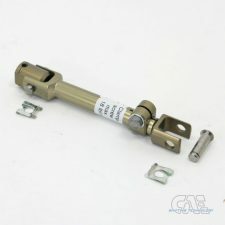 This is assumes the bracket is mounted to an electrically conductive material such as a steel frame. 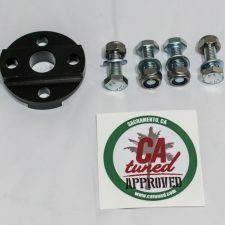 Angled Mount – this mounting bracket is used for vehicles that may have a limited mounting height. It can be mounted on a floor and against a wall. This bracket is made from laser-cut aluminium and powedercoated black. Click here for mounting dimensions. 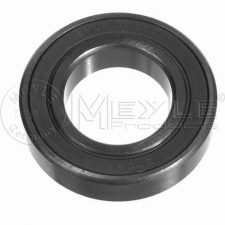 Generally 2 week lead time, although some components available from stock.